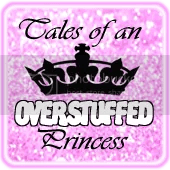 Tales Of An Overstuffed Princess | A mother's musing on life. A mother's musing on life. A special thank you to Lilac City Momma for the photographs. Happy 10th Birthday, Booby Boo!! I have two workout buddies! We are all making our way through P90X. Someone learned to tie their own shoes. I am a stay at home Mom to 2 amazing kids. I admit to being obsessed with Facebook and Twitter, the New England Patriots and coffee. When I am not blogging or running my kids around for various activities, you will most likely find me with my Kindle in my hand and a bottle of water (because hey, I am trying to get healthy here!). Want to contact me? Try one of these!